If you’ve been curious about growing your own vegetables and herbs but have hesitated because it’s rumoured to be time-consuming and laborious, we’ve got great news for you…it’s neither! Well, it doesn’t have to be. While gardening is often an exercise in patience, with these 20 vegetables and herbs, you won’t have to wait very long to cook and serve up your own fresh, home-grown produce. Not only do radishes grow quickly (they’re ready to harvest just four weeks after sowing!) but they’re easy. Because of their size, they’re suitable for any size garden – yep, even a tiny balcony in the city – and, with several varieties available, they can be planted and grown throughout every season. 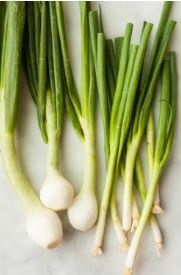 If you’re nervous about growing your own vegetables, spring onions are a great place to start. They’re ready to eat just 20-30 days after being planted, can grow in small, odd spaces and can even grow through autumn and winter. 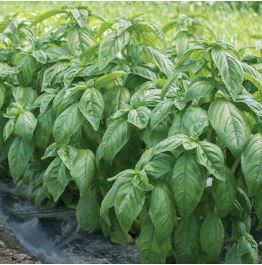 Basil only takes 8-14 days to germinate and leaves appear just 2-3 weeks after that. Time for homemade pesto! But, in order to get a good harvest, the soil must be at least 10° C but ideally 21+° C. What’s more, the soil should be moist and well-drained and the seeds should be planted in a location that gets 6-8 hours of sunlight per day. Used in a range of dishes from stuffing to tabouleh, parsley is a wonderful herb to grow in your garden in well-drained soil or in pots with compost. 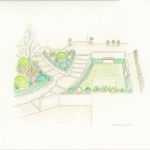 In either case, plant in early spring in the sun or partial shade. 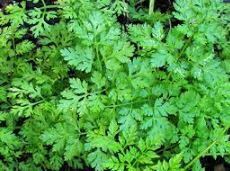 Within three weeks, your parsley will begin sprouting. Not only is this perennial easy to grow, but their purple blossoms make them a welcome addition to any garden. 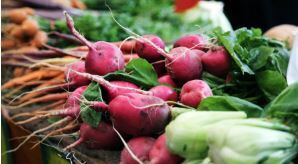 Simply place them in the ground or in a pot in a location that allows for 4-5 hours of sunlight a day and you’ll be able to harvest just 30-60 days later. 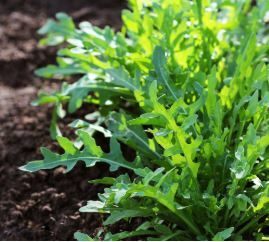 Rocket is a cool-season crop, meaning it grows best in the spring and autumn. Seeds can be planted in late winter or early spring (once the soil is neither frozen nor too wet) and the leaves can be harvested in as little as four weeks, once the leaves are about 4 inches long. But, avoid picking all the leaves so that the plant can continue to grow until it reaches full maturity, 45-60 days after planting. If planted in early spring when the soil temperature is between 13- 22° C, the seeds will germinate within 2-3 weeks and will produce leaves for harvest within four weeks. 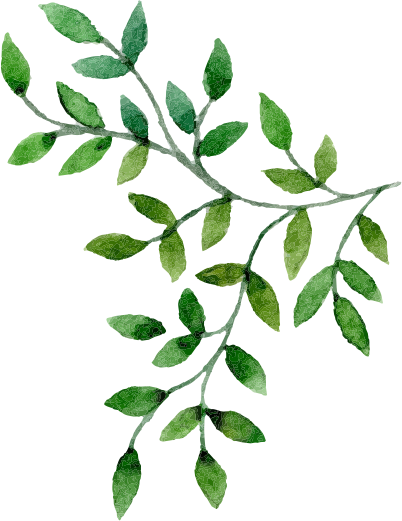 Pick the leaves by cutting entire stems when they’re ripe, just before they fall to the ground. 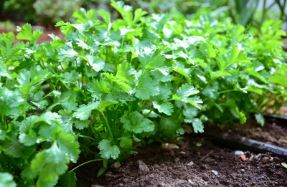 If the coriander is being grown for seeds, allow 45 days before harvesting. Lettuce is widely considered one of the most care-free crops. 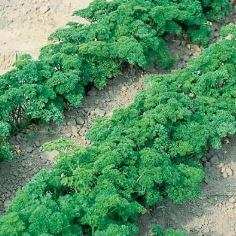 It’s highly productive in a limited space, is virtually pest and disease free and matures in just 45-55 days. Of course, development depends on the variety, with looseleaf and butterhead taking the least amount of time and romaine taking up to 85 days. 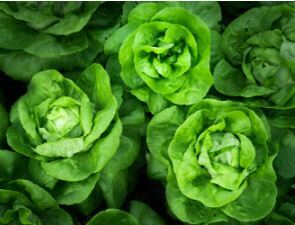 For maximum production, start your lettuce seed indoors a few weeks before the last frost date. 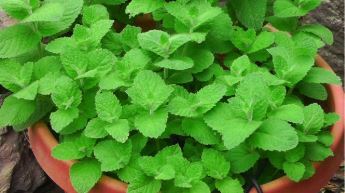 Mint grows from a seed to a mature plant in just 90 days. At this point, you can cut the mint down to one inch above the soil and, after another 1-2 months, you’ll have another plant up to two feet tall. Because mint grows and spreads so quickly, we recommend containing it to a pot. Depending on how cold your region gets, you can plant from autumn to early spring. 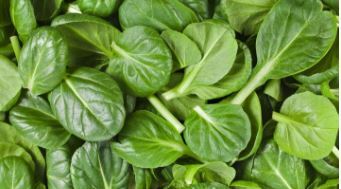 In either case, it’s important that you seed as soon as the soil is workable, giving the spinach a full six weeks of cool weather before harvesting. If you plant the seeds at the end of spring, allowing the plant to grow for two months in warm soil), you should be able to harvest just 42-52 days after planting. 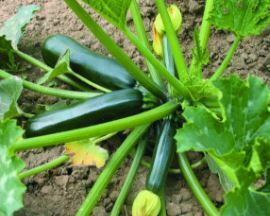 After flowering, the squash can grow up to one inch per day, meaning you can harvest later if you want a large courgette. But, don’t wait too long as it could become too seedy and therefore unpleasant to eat. 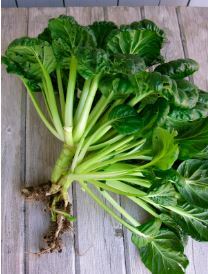 Bok choy is considered easy to grow as it’s relatively tolerant to frost. Plant the seeds in a sunny location with good drainage between March and Mid-August and you should be able to enjoy your bok choy just 4-6 weeks later. If planted just after the last frost, you can harvest in April. 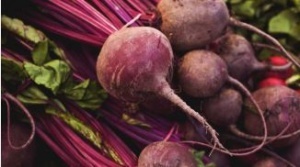 Beets can be harvested 7-8 weeks after planting, once the bulbs are between the size of a golf ball and a cricket ball. For best results, plant the seeds in well-drained or well-rotted garden compost. If you notice that your plants aren’t growing well, water them in, especially in the case of a dry spell. 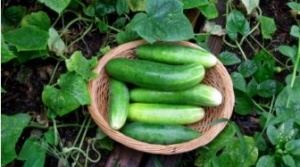 Not only do cucumbers grow quickly with just 50-70 days between planting and harvesting, but at peak harvest time, you’ll be picking ‘em every few days. Best of all, they can be grown easily both indoors and outdoors in pots, in growing bags, or in the ground. Of course, this depends on the variety. If growing indoors, plant the seeds between February and March and make sure your home (or greenhouse) stays warm. If growing outdoors, plant the seeds between May and June, depending on your region and climate. Chervil should be planted in a cool, shady position outdoors anytime between March and August. 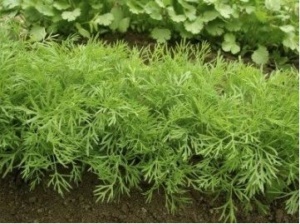 While seedlings will appear after just three weeks, it’ll take nine weeks before the herb is ready for harvest. Make sure to cut the leave before they flower though! Afterwards, they’re inedible. Potatoes take between 70 and 120 days to grow before they’re ready to harvest. We know…this is considerably longer than the other vegetables and herbs on this list. But, they made the cut because they’re so incredibly easy to grow. 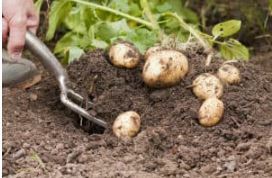 Simply plant seed potatoes indoors from late winter and set them to sprout before planting outdoors between March and late April. Growing potatoes is often regarded as ‘fail-proof’ and with enough water, you’ll end up with a great harvest for roasting, mashing and boiling. When planting your oregano seeds, opt for a location that’s sunny, well-drained and moderately fertilised. Plant 6-10 weeks before the last predicted frost and within 5-10 days, you’ll see them begin sprouting. 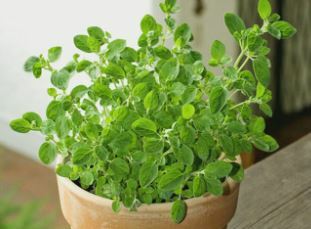 Oregano tastes best just before blooming, which is in June or July. Depending on when the final frost was, this could be 3-5 months after planting. After planting dill seeds in the ground or in pots from mid-spring to mid-summer, you’ll be able to harvest 90 days later. To increase growth and delay flowering, pick young leaves regularly. 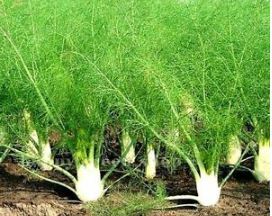 Fennel should be planted in fertile, well-drained soil around the same time as the last frost. It grows best in full sun and, if conditions are right, it should germinate within 7-10 days. 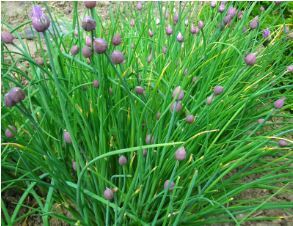 But, they won’t be ready to harvest until late summer or early autumn once the bulb is the size of a small tennis ball. While, when grown from a seed, sage takes two years to reach mature size, it takes just three weeks for the seeds to germinate. 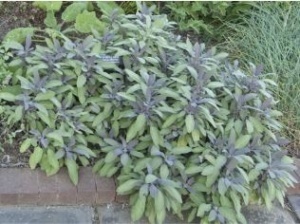 While – yes – your patience will be tested over the course of 24 months, it will be rewarded as sage’s flavour increases as the leaves grow and its variegated form adds lovely touches of colour to any garden.